Home | Daddy's House | Organizing Two Families? Are you a co-parenting single dad? If so, then organizing a calendar for 2 families is a big undertaking. An online calendar,where others (like your co-parent) can be invited to go online to input their own dates and view one calendar between both parents, can go a long way to help make this a smooth experience. This eliminates unnecessary e-mails back and forth with confusing dates and arrangements. Its a great calendar to print out for your children too. Then you know you are all literally on the same page. 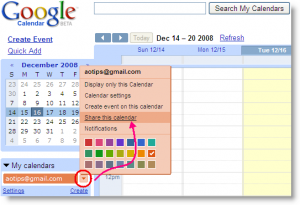 There are many online calendars to choose from. Some calendars like Google, are free others come with a fee.